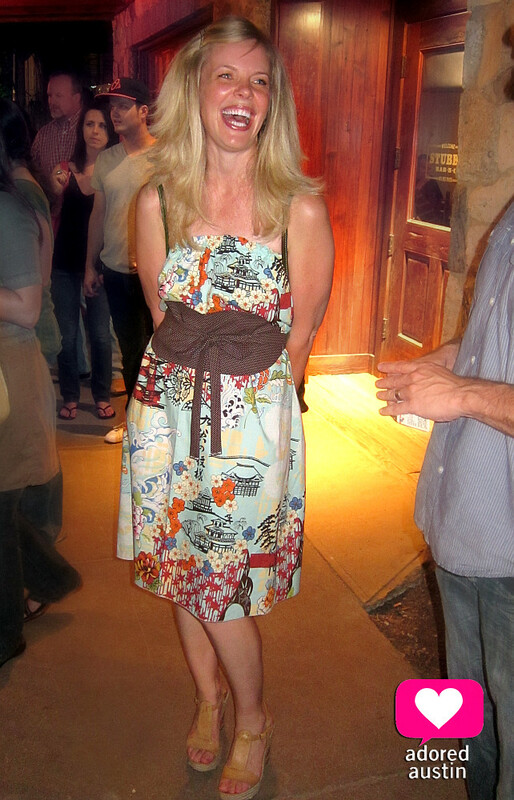 I had planned to take some style photos while at Miranda Dodson's CD release party at Stubb's on Friday, but I only had my point and shoot with me. The DSLR takes much better photos in low light. Lesson learned. I was, however, able to grab a couple photos. I plan to do a lot more of these this summer as everyone is Austin dresses so cute during our sweltering months. This is Emily. 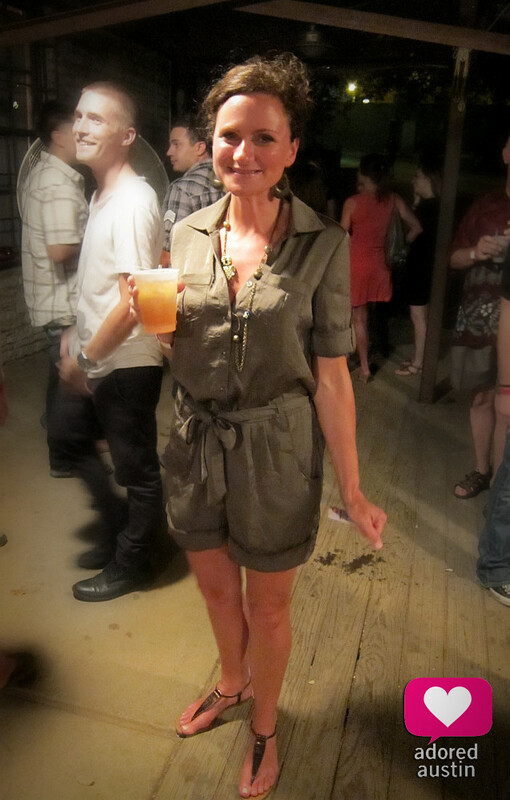 Her olive green romper immediately caught my eye. This laughing lady is my friend Robie... yes, the same Robie who is hosting the Etsy/ Readymade craft night this Friday. I don't want to jinx it or anything, but so far my feet haven't swollen up, so I'm still able to wear all my shoes. However, I now carry a spare pair of flip flops just in case I start getting Fred Flintstone feet or in case my feet start feeling fatigued. 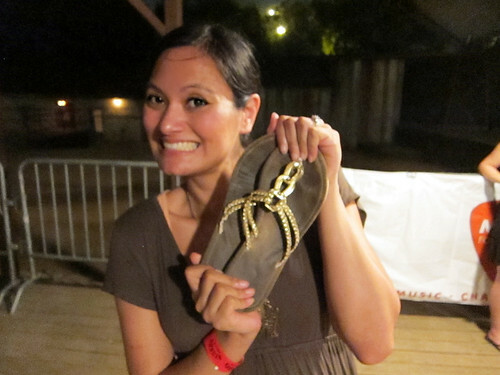 I was pretty impressed that on Friday that I didn't have to change to my flip flops at all. These Cynthia Vincent wedges are surprisingly very comfortable! My new Toms Wedges are supposed to be here by tomorrow, so let's just hope my feet continue to stay normal sized!